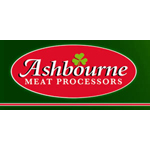 Description: Ashbourne Meat Processors is one of Irelands leading beef processors, exporting premium chilled Irish beef all over Europe and indeed the world since 1985 from cattle sourced locally at our abattoir in Roscrea, Co. Tipperary. Ashbourne Meat Processors employ nearly 200 people and operates from two facilities located in Ireland. Slaughtering, deboning and cold-storage facilities in Roscrea with deboning and cold storage facilities in Naas. Locations: Roscrea, Co. Tipperary and Naas, Co. Kildare.